RALEIGH, North Carolina–(BUSINESS WIRE)–The IoT Community® (Internet of Things Community®), the world’s largest community of corporate executives, IoT professionals and practitioners, today announced the appointment of Nancy Shemwell as Chief Operations Officer (COO) effective immediately. Ms. Shemwell will also serve on the Advisory Board and participate in domain / subject matter expertise initiatives. Ms. Shemwell has a 30-year track record of driving high-performance global organizations in rapidly developing markets. Prior to joining IoT Community, she served as the Chief Executive Officer at Vericlave (formerly entegra technologies), and currently serves as Chair of their Board of Advisors. Known as an innovative, visionary leader, Ms. Shemwell transformed an early stage, ruggedized tablet company into a provider of fully integrated cyber security solutions for mission critical, industrial control systems (ICS). “I am delighted and honored to serve as COO of the IoT Community and be a part of this 23,000+ strong group of IoT industry leaders and visionaries. 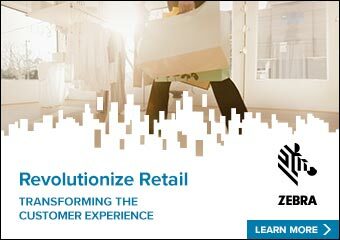 It is an exciting time in the rapidly sprawling landscape of device connectivity. As the Internet of Things continues to become more ubiquitous, new opportunities and advancements in everything from healthcare and finance to transportation and logistics grow in multiplicity, but this progress also presents new challenges and complexities. IoT Community’s role as the industry’s source of truth and IoT best practices will be critical as we continue to navigate growing security and privacy concerns, hardware compatibility and network connectivity issues, as well as the regulatory environment surrounding IoT,” said Nancy Shemwell, COO and IoT Community Advisory Board Member. Ms. Shemwell’s other previous senior leadership positions include that of Chief Operating Officer and owner of DataSpan, CEO of Multi-Link, CEO of Jovial Test Equipment, EVP at Extreme Networks, and EVP at Symmetricom. Ms. Shemwell also had a 16 year career with Nortel Networks where she held titles of President, Micom Communications Corporation (a Nortel subsidiary), and several key Executive Vice President roles. Ms. Shemwell holds a Bachelor of Business Administration from Baylor University and a Master of Science in Business Administration from Texas A&M. She also serves on the Associate Board at the SMU Cox School of Business and is a member of the National Association of Corporate Directors, Women Corporate Directors and Texas Wall Street Women. 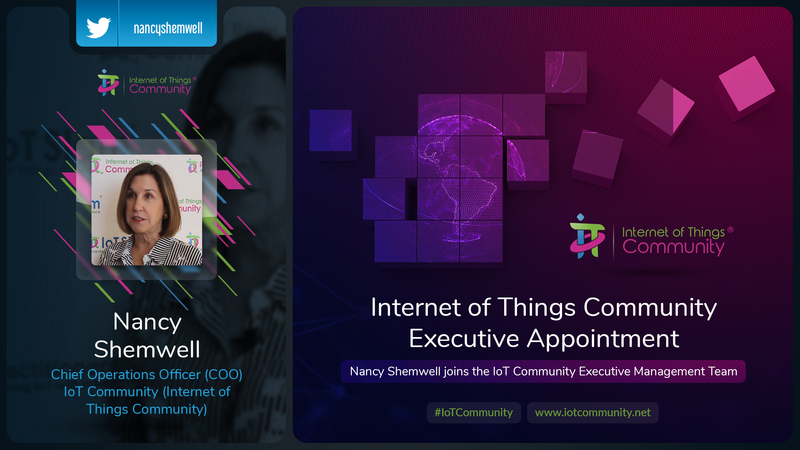 “Serving as an Executive Officer on the IoT Community management, Nancy will undertake key contributions to help deliver on our forward directions to move ‘up the technology stack,’ while adding scale to our growing member business. Nancy has held a variety of senior positions with global responsibility, including Europe and North America, and her extensive background in cybersecurity and technology made her an ideal addition to the IoT Community team. We are very pleased to welcome her aboard and to the broader IoT Community team,” said David Hill, Executive Director – IoT Community Ltd.
“A wide-ranging search was conducted for an individual who could further strengthen the IoT Community’s talent and expertise, particularly in the cybersecurity and technology areas which are so critical to the services we provide to our members. Nancy brings that to our team with her extensive technical, operational and strategic leadership experience,” said Bill Mortimer, IoT Community Advisory Board Chairman, and VP of strategic marketing at Spirent.